Misconceptions are the proliferate offspring of ignorance. Born of half-truths and skewed perceptions of reality and fertilized liberally by a steady stream of misinformation. Unchecked, they grow to an enormous size. Sometimes I’m shocked and amazed by what people think, in particular, the false beliefs they harbor about my chosen faith. I’m at a loss for how to stem the tide. Often, I imagine someone else will surely take the helm, step up to the plate, and inform the misinformed. However, with the rise of hateful rhetoric and the violent display of racial hatred that robbed so many fellow human beings of their lives in New Zealand, I’ve come to the realization that one person may not be able to speak to this as well as the voices of many people can. 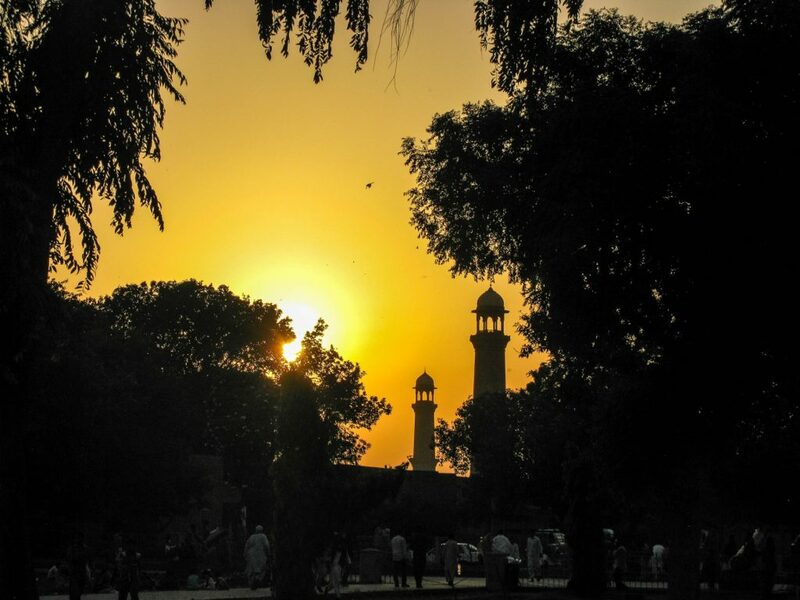 Setting sun behind a Mosque, Muslims gather to pray. As a start, I’d like to share two basic truths with you: what it means to be a Muslim and what I say when I bow to my Creator in prayer five times a day. Muslims believe in One God, One Creator. We use the word ‘Allah’ because it is a special Arabic word that has no gender. For example, in English we can say God or Goddess, implying gender and so, when we say God, we automatically think in terms of ‘he.’ Gender is an aspect of our human form, confined by space and time. Our Creator being the Creator cannot be bound by space and time nor have any limits of physical form. It’s a bit difficult for our minds (confined within this space and time) to comprehend. And since I am explaining in English, you will note that I refer at times to God as He, indicated with a capital first letter, not because of gender but because the English language often requires the use of pronouns. The language limits me. However, we see God and Allah as the same One. When Muslims speak in English and use the word ‘Allah’ instead of ‘God,’ it is only because the term ‘Allah’ eliminates any reference to gender and comes closer to our philosophical understanding of our Creator. We believe in all the Prophets from Adam (P)* to Abraham (P), Suleiman (P), David (P), Moses (P), Jesus (P), and lastly Prophet Muhammad (P) and many more in between because our Creator at all times has provided guidance for us to live the life we’ve been given in the best way. 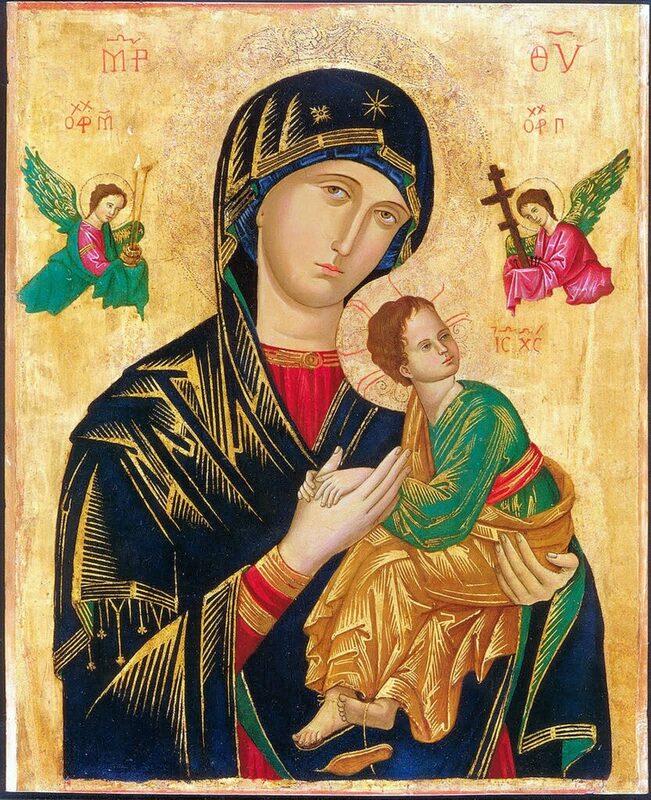 Yes, we love and honor Jesus (P) and believe in his miraculous birth to his chaste mother, Mary (P). That often surprises the people I meet who ask me about Islam. Islam actually means in translation, “submission to One God.” Submitting means recognizing the Glory of the Creator and in humility adhering to His expectations on us as human beings. A Muslim is “one who submits to One God.” So, technically, anyone who submits to One God is a Muslim. There is no God of the Christians, God of the Jews, and God of the Muslims, etc. They are all One and the same God. And those of us who adhere to God’s commandments, remember His Bounties, and do our best to fulfill His expectations upon us, we are all Muslims submitting to One God. We press our foreheads, the highest aspect of our physical form, to the ground, in a corporeal display of absolute humility. Part of our expressing submission to Allah, means remembering Him in prayer. Taking time out of the day to pause and reflect on the Glory and Mercy of Allah refreshes the heart, nourishes the spirit, and strengthens our actions. 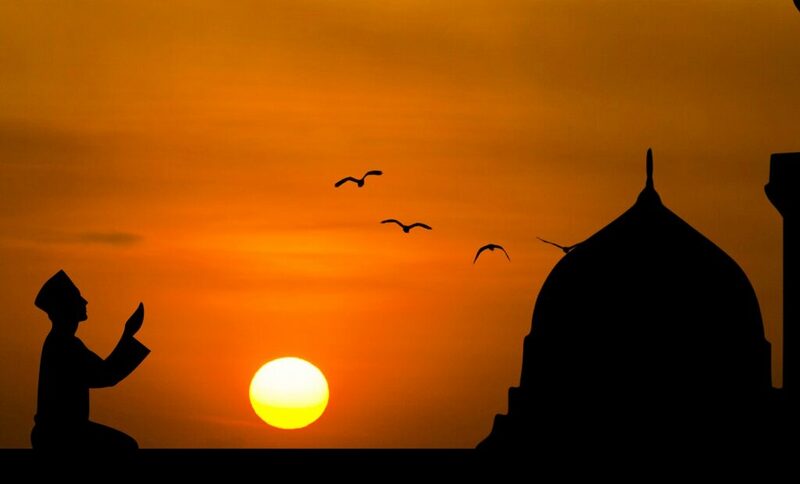 In Islam, we set aside at the least five times in the day to formally connect with our Creator. We don’t pray for God. God has told us to pray because it is a best practice for our spiritual growth. We pray to draw ourselves closer to God. It boggles the mind, that anyone would be so arrogant as to believe themselves righteous as they massacre innocent people bowing in prayer to One God. “I am here to perform my prayers to attain nearness to God. God is Great. Guide us to the straight path, the path of those with whom You are pleased, not the path of those who have evoked your anger or who have gone astray. Say, ‘He is God, the One. (bow) Glory be to my Lord, the Great and all praise is for Him. (stand) God listens to one who praises Him. God is Great. (prostration, pressing your forehead to the ground in humility) Glory be my Lord, the Highest and all praise is for Him. (sit back and upright) God is Great. I ask God, my Lord, to forgive me and I turn back to Him. (go back into prostration) Glory be to my Lord, the Highest and all praise is for Him. (as you stand up) By the Power and Strength of God, I stand and I sit. (raise both hands palm upward) Our Lord! Give us good in this world and good in the next world. And protect us from the punishment of Hellfire. (prostration, pressing your forehead to the ground in humility) Glory be to my Lord, the Highest and all praise is for Him. (sit back and upright again) I bear witness that there is no god except for God, the only One. He has no partner. And I bear witness that Muhammad is His servant and His Messenger. O God, send blessings upon Muhammad and the family of Muhammad. Peace be upon you, O Prophet and the mercy and blessings of God be on you. Peace be on us and on all the good servants of God. Raising hands in prayer and asking One God for Forgiveness and Mercy. Now that you know the words we speak as we humble ourselves before our Creator in solidarity with our fellow believers, in unison, can you imagine at any point at which it would be justified to kill anyone as they pray in this manner? It is the peak of cowardice to shoot down innocent human beings who busy themselves in worship to God, who hold no weapon but rather raise their hearts and palms upward to their Lord. I sincerely hope my sharing the English translation of our prayers can help you to understand Muslims better. We can eliminate ignorance only with understanding. Feel free to comment or ask me any questions or curiosities you have. I will do my best to answer them or find an answer for you.